At just 23 years of age, Amir Khan finds himself on the cusp of a shot at the ONE Lightweight World Championship. 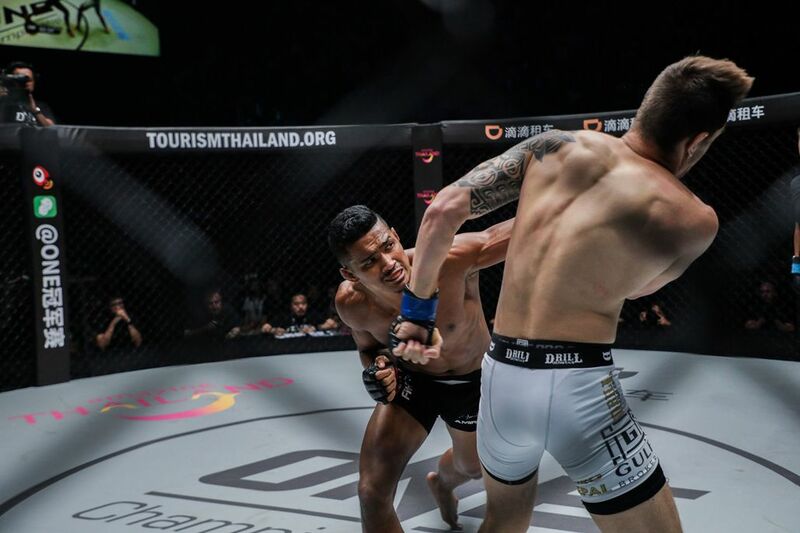 The Singaporean star’s meteoric rise to world title contendership has come off the back of a six-bout win streak, which has seen him finish five consecutive opponents, and then show his maturity and martial arts IQ in an impressive decision victory over respected veteran Adrian “The Hunter” Pang. Khan’s remarkable form has coincided with him working under the guidance of his Evolve MMA friend and mentor, Eddie Ng. “He has been one of the most important factors in my career,” Khan admits. Ng’s role in the young lion’s corner is a particularly crucial one. During the heat of the action, and in the midst of a deafening atmosphere, it is absolutely vital to hear your cornerman. Fortunately, Khan says he and Ng are on the same frequency, and that is not something they have worked on. It just happened naturally. “Wherever I am in the cage, he can call, and I am able to respond quickly,” Khan continues. 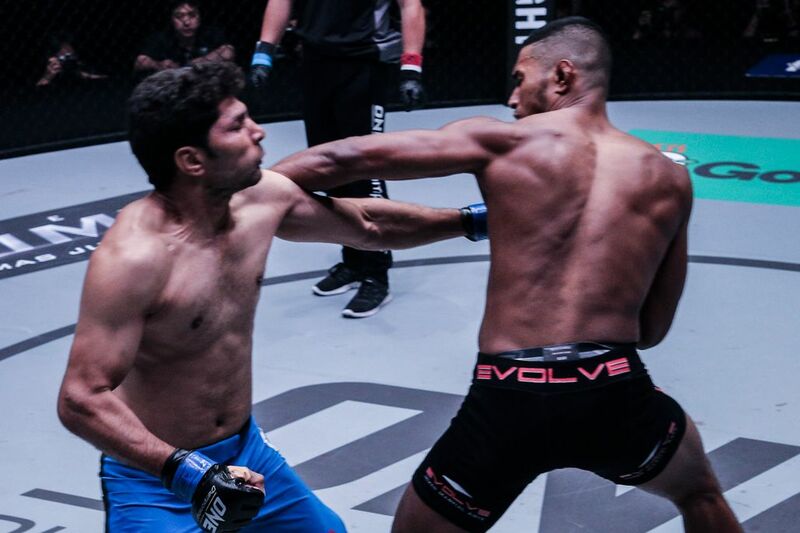 In mid-2015, Khan was just an up-and-coming talent who sought extra training at Evolve MMA. But in addition to finding more training sessions, he also stumbled upon a mentor who would transform his career. “He is one of the Evolve Fight Team [members], but right now he is more focused on coaching,” Khan explains. “I was training in the pro sessions, and on the weekend he was leading the amateur sessions. I wanted to get more sessions on the weekend, so I started taking his amateur class, and I really liked his philosophy of training and stuff. “It is good at Evolve. We have everything — Muay Thai world champions, BJJ world champions, and good wrestlers, so I have to learn from everyone. Their first bout came after Khan suffered a split-decision loss to Shannon Wiratchai at ONE: WARRIOR’S QUEST in May 2015. 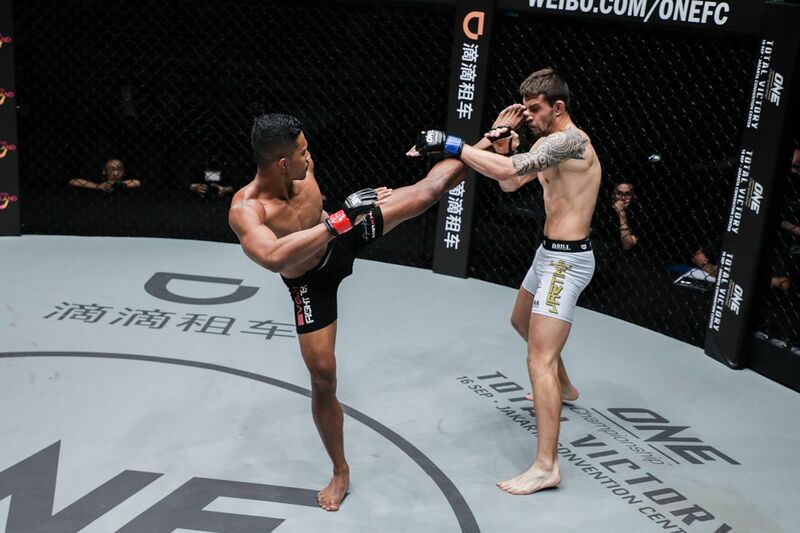 The pair started working together more frequently following that contest, and the Singaporean lightweight has not lost a match since. For Khan, it is not only about his relationship with Ng in the gym and in the cage. He says the pair are just as close away from the walls of Evolve MMA, too. “Even away from competition, we have a really good relationship,” he says. “We go out to eat, we hang out, talk about life and stuff. He is like a brother to me. Outside the cage, we hang out, and inside the cage, we are training. “I feel a good relationship is important if someone is going to be in your corner. It is almost like you trust them with your life, because they are the one watching you in the cage, and giving you guidance. The pair have been working side by side as Khan prepares for his upcoming bout with Russian knockout artist Timofey Nastyukhin at ONE: QUEST FOR GOLD in Yangon, Myanmar on Friday, 23 February. 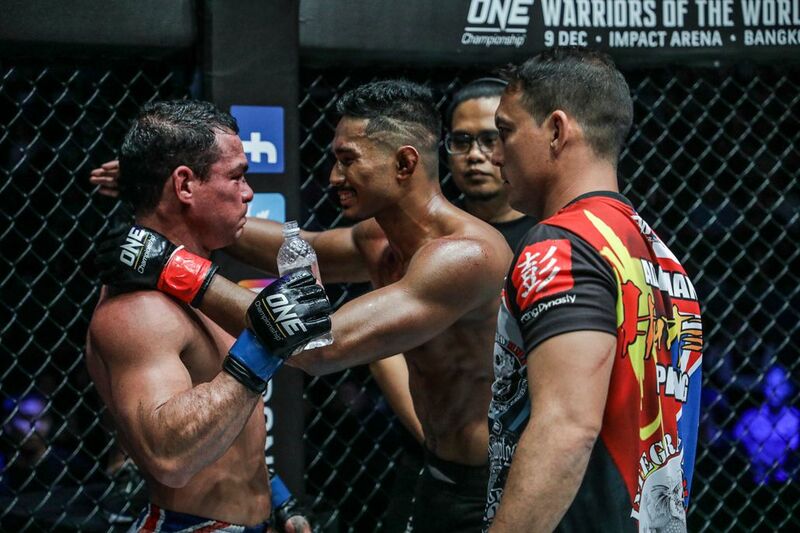 Given the duo’s track record of excellence inside the ONE Championship cage since they started working together, it could be only a matter of time before Ng is cornering Khan in a world title bout.